On January 9th, the much-anticipated WeChat applet was officially released; the circle of friends was promptly screened by the WeChat applets. Extreme guests also couldn't stand the curiosity of their hearts, but also paid attention to several WeChat applets. 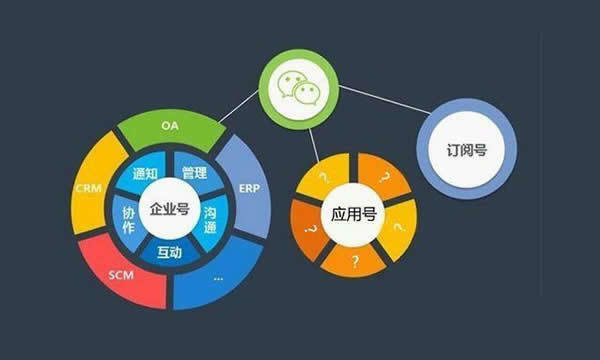 Early adopters.From a technical point of view, the WeChat small program personally does not think that there is any innovation that can be circumscribed; however, it may have a huge impact on the ecology of software applications. As early as more than a year ago, no one had ever heard of the WeChat applet. Extreme guests had "predicted" the appearance of "small programs" during the exchanges with their classmates.At that time, the WeChat public account had only a subscription number and a service number. I said that the WeChat public account number should be able to add an "application number." After more than a year, the WeChat applet turned out, and the WeChat public account number really has one more type." The application number" is exactly the same as the name I started with.Of course, I am not here to show off my vision, but to show that the appearance of the WeChat applet is a normal product of software development. In today's prosperous software development, more and more programming languages, software development platform is not the same, software developers in order to cater to different users of the platform, have to develop applications on various platforms, IOS, Android as a mobile operating system The two giants, each with a huge user base, mean that software vendors must do the same software, and they must write two sets of code: JAVA on Android and Object C/Swift on IOS, which undoubtedly raises the cost. .From the trend of software development in recent years, although everyone is proud to advertise themselves as a “full-stack development engineer”, I think this is just a helpless move if there is a set of code that can run on all platforms. All have excellent performance, no one is full of support, creating a variety of development languages. Today, software development is flourishing. Both programmers and software vendors hope to have a "great unification" to end this prosperous and chaotic situation.In the past few years, HTML5 mobile app development attempted to implement cross-platforms based on the browsers of each platform; the “responsive layout” of front-end development in the web implemented a set of code to intelligently display the most suitable interface on PCs, tablets, and mobile phones; The QT development tool hopes to use a set of C++ code to develop native apps on Windows, Linux, Android, and IOS. Recently, React is using the JS to dominate the Web, IOS, and Android on the way to further and further away... The WeChat applet to do, It is to develop a set of code that has the same user experience in iOS and Android, and it is based on HTML.HTML will undoubtedly have the best compatibility on all platforms, where there is a browser, where you can parse HTML. If I use some keywords to summarize the characteristics of software development, there must be a word in my answer is "virtualization. "The operating system completes the virtualization of the underlying hardware so that the upper application does not need to care about the underlying hardware operating details and differences.Although the number of computers running the Windows operating system is hundreds of millions, their CPUs, network cards, and disks are all different. Through the Windows system's Win32 API, programmers and upper-layer applications do not have to deal with the differences of the underlying environment, and programmers use the same. The code can operate on different types of hardware.The same goes for the Java Virtual Machine. 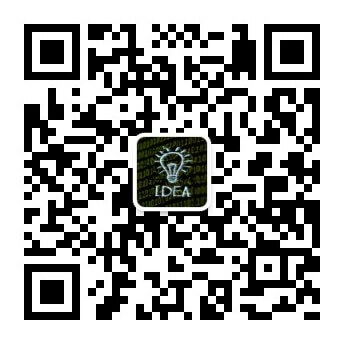 It can be said that the WeChat program is to use WeChat as the platform. Through the same code, we can have the same operations on IOS and Android, such as layout, payment, positioning, etc. Wechat virtualizes the layout, payment, and positioning. One layer of details on Android and IOS.In this sense, we can say that WeChat is an "operating system. "This of course puts the operating system too simple, and more accurately, WeChat should be a virtual machine. It is not surprising that we can predict the appearance of the “WeChat applets”. Now that many softwares complete their own functions, they often appear as platforms themselves. What is the platform?Newton said, "If I look farther than others, it is because I stand on the shoulders of giants. ".Then this giant is Newton's platform.The result of virtualization is to bring a more solid platform for upper-level applications.Above the platform, we can ignore the implementation details below the platform. Software that appears as a platform can implement many extensions.Extreme guest's blog is built using wordpress CMS platform. In wordpress above, we can use plugins to implement anti-spam comments and other functions; in Chrome browser, we implement ad blocking by installing plugins; and QQ built-in view The function of the word document is also realized through the plug-in (the source code of the QQ was seen when the extremely guest practice). Plug-ins are extensions outside the platform. Platform-based plug-ins ignore the underlying details while making the platform more feature-rich and go further.At the same time, the open platform has also made the platform more active and instilled youth for its own survival. The WeChat applet is also a WeChat plugin in a sense. After the extreme guest tried to use WordPress and Chrome to install the plugin, I thought that predicting the appearance of the "Application No." would not be difficult. Once I read an article, each software vendor hopes that the software he develops will not be uninstalled on the user's PC or mobile phone. The key is to occupy the user's desktop and status bar.However, there are millions of APPs on the market today. Because too many APPs will cause the speed of mobile phones to slow down, and the usable ROM will become smaller, many users will unload an app immediately after it is installed. Since the WeChat applet's ready-to-use or delete feature is in line with the user's “cleanliness” mentality, the WeChat applet must be popular in some infrequent applications. Prior to the launch of the WeChat applet, Google had planned to launch a similar “small program”—Android Instant APP at Google’s 2016 conference. Through Google’s Deep Link, users can run applications with a click of a link. Currently, the support is relatively simple. The basic application, it can be said to be between pure Web applications and applications, "Instant Apps" will limit the application download size of up to 4MB, and backwards compatible to the Android 4.1 operating system. The basic application scenario is similar to the WeChat applet. The biggest advantage personally thinks may be that native development performance will be better than WeChat.However, since the WeChat applet has an entrance to WeChat, which is a large-flow portal, and it has been issued preemptively, I think Instant APP is at least dead in China. Currently, there are no advertisements in the WeChat applet, but in the near future, WeChat will soon provide TenPay's advertising SDK to facilitate developers' access. Such an application will turn to the WeChat applet, and Tencent’s advertising revenue will surely usher in a wave. A substantial increase. This article has been printed on copyright and is protected by copyright laws. It must not be reproduced without permission.If you need to reprint, please contact the author or visit the copyright to obtain the authorization. If you feel that this article is useful to you, you can click the "Sponsoring Author" below to call the author!